Top Five tells the story of New York City comedian-turned-film star Andre Allen, whose unexpected encounter with a journalist forces him to confront the comedy career—and the past—that he’s left behind. 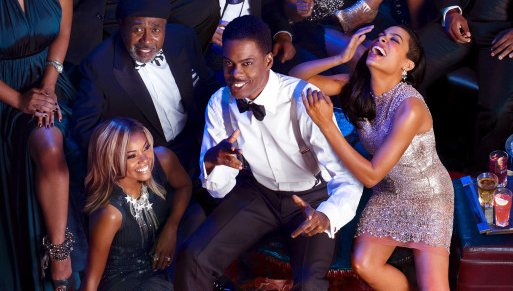 Starring Chris Rock, Rosario Dawson, Gabrielle Union, Cedric The Entertainer, J.B. Smoove, Tracy Morgan, Kevin Hart, Anders Holm, Jay Pharaoh, Michael Che, Sherri Shepherd, Leslie Jones. The film is produced by Scott Rudin and Eli Bush. The Co-Producers are Shawn “Jay Z” Carter and Kanye West; the Executive Music Producer is Questlove. (Click here to watch the trailer). 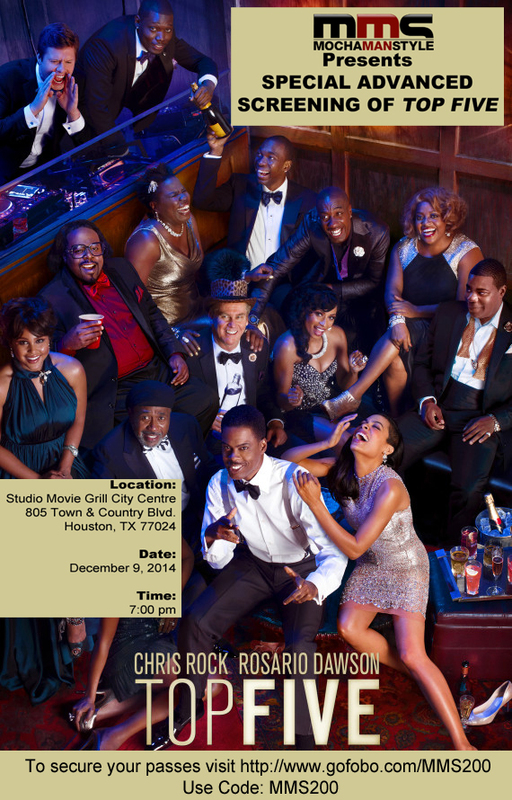 On Tuesday, December 9th, Mocha Man Style will host an advanced screening of Top Five in Houston, TX at 7:00PM at Studio Movie Grill City Centre and I have 200 tickets (each ticket admits 2) to offer to Mocha Man Style readers.